Researchers present models that help us understand the inner working of STI and/or that aim to address the needs of science policy makers. 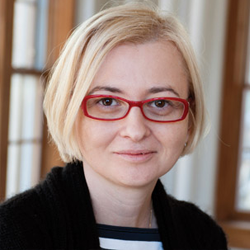 Staša Milojević is an Associate Professor of Information and Library Science, a core faculty of Cognitive Science, and a fellow of the Rob Kling Center for Social Informatics at Indiana University, Bloomington. She is co-founder and past chair of ASIST SIG METRICS and serves on the editorial board of Scientometrics. Her research combines theoretical, mathematical, statistical, and computational approaches to study how modern scientific disciplines/fields form, organize and develop. For more information view her website. Abstract: I will present preliminary results of collaborative research that employs large academic corpora to develop models of intellectual movement and scholar migrations within and between fields. In so doing, we identify multiple resource flows and a larger social structure of science where some fields assume positions of greater influence. We demonstrate that the transfer of knowledge and personnel is episodic and uneven; that interdisciplinarity entails forms of colonization and pollination; and that science policies of funding and institutional support seem to nudge flows along identified paths. Bio: I study the social and organizational dynamics of educational systems like schools, classrooms, universities and intellectual disciplines. In particular, I have performed a series of studies on classroom organization and interaction; on the formation of adolescent relationships, social structures, and identities; on interdisciplinary collaboration and intellectual innovation; and on relational sociology. 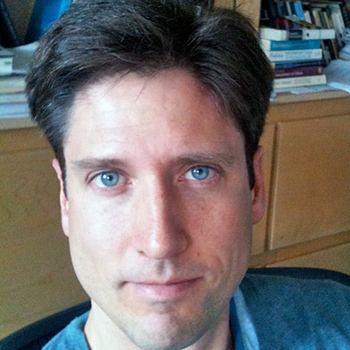 I have broad research interests and have been drawn into a variety of interdisciplinary collaborations with linguists and computer scientists. This in turn has led to studies of big data and methodological advances in social networks and language modeling. Abstract: Policymaking implies planning, and planning requires prediction – at least some knowledge about the future. This contribution starts from the challenges of complexity, uncertainty, and agency, which refute the prediction of social systems, especially where new knowledge is involved as a radical game-changer. It is important to be aware of the fundamental critiques, approaches, and fields such as Technology Assessment, the Forrester World Models, Economic Growth Theory, or the Linear Model of Innovation received in the past decades. However, agent-based modeling and simulation now provide new options to address the challenges of planning and prediction in social systems: this paper will discuss these options for STI policy with a particular emphasis on the contribution of the social sciences, both in offering theoretical grounding and in providing empirical data. Fields such as Science and Technology Studies, Innovation Economics, Sociology of Knowledge/Science/Technology etc. inform agent-based models in a way that realistic representations of science, technology and innovation policy worlds can be brought to the computer. These computational STI worlds allow scenario analysis, experimentation, policy modeling and testing prior to any policy implementations in the real world. This contribution will illustrate this for the area of STI policy using examples from the SKIN model. 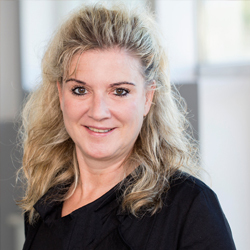 Bio: Petra Ahrweiler is the Director of the European Academy of Technology and Innovation Assessment, a joint research centre of the Federal German state of Rhineland-Palatinate and the German Aerospace Center. Ahrweiler also holds a professorship for Technology and Innovation Assessment at Johannes Gutenberg University Mainz in Germany. Her main research interests are innovation networks in knowledge-intensive sectors such as ICT and biotech, issues of science in society, responsible research and innovation, and policy modelling for complex social systems using methods such as social network analysis and agent-based simulation. Abstract: The growing availability of information on funding from SBIR and STTR projects, combined with patent and sales data enable analysis of innovation trajectories that result in success or failure. Using event analytics tools like EventFlow allows us to understand common patterns for success and outliers to guide planning and funding efforts. Bio: Ben Shneiderman (http://www.cs.umd.edu/~ben) is a Distinguished University Professor in the Department of Computer Science, Founding Director (1983-2000) of the Human-Computer Interaction Laboratory (http://www.cs.umd.edu/hcil/), and a Member of the UM Institute for Advanced Computer Studies (UMIACS) at the University of Maryland. 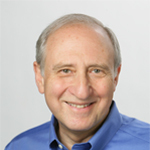 He is a Fellow of the AAAS, ACM, IEEE, and NAI, and a Member of the National Academy of Engineering, in recognition of his pioneering contributions to human-computer interaction and information visualization. Ben is the co-author with Catherine Plaisant of Designing the User Interface: Strategies for Effective Human-Computer Interaction (6th ed., 2016) http://www.awl.com/DTUI/. His latest book is The New ABCs of Research: Achieving Breakthrough Collaborations (Oxford, February 2016).